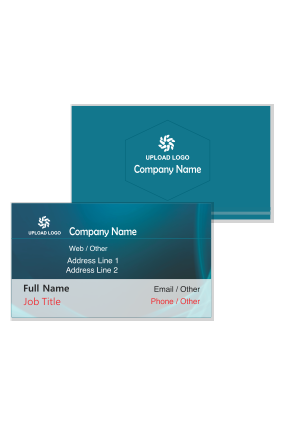 Getting business cards for your business is one of the best and cost effective means to market your business in the market. 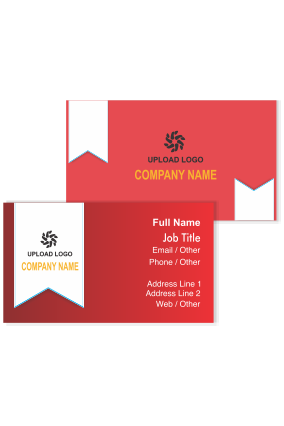 Business card is an important building block for good marketing plan. 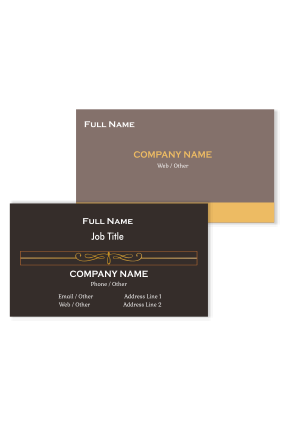 Business card is the only thing that remains for long time even when all the other marketing tools have failed, and are not able to generate sales for the business. 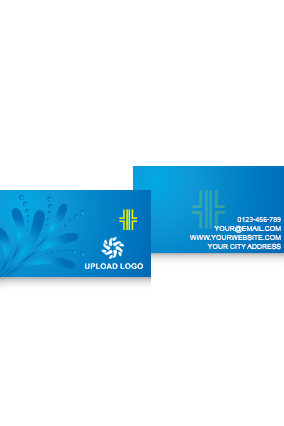 These business cards are used by businessmen to get or provide information to their customers or used as business promotional products. 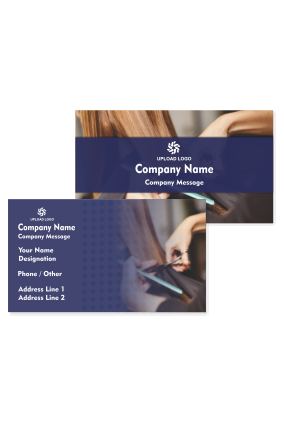 And if your are in the service sector and provide services like, in beauty saloon, you need your business cards to be printed on high quality paper and designed by some professionals. Do not take your business card just as a piece of paper. 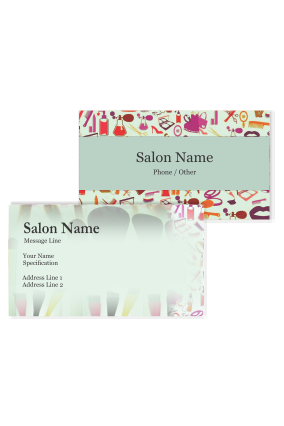 Beauty parlour business card carries information where your customers can contact you. 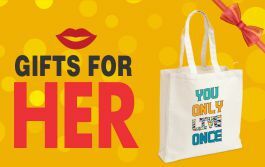 And above all this its a branding tool for your business. 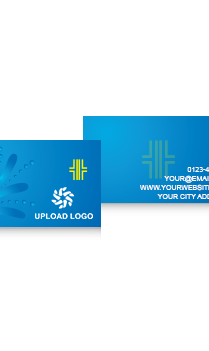 Internationally, business cards are accepted as a means of providing the essential personal details to your business associates. When you go out for any event, always ensure that you have sufficient number of business cards with you. On your business card for beauty parlour, you can add any tag line on it. For this you need not give full information regarding your business, just mention the important information on it. Do not turn it into a small billboard. Try to meet new people in parties and make contacts with people, give them your health spa business card. Today people take care of body fitness, they must be curious to know about the services they you are providing in your spa. 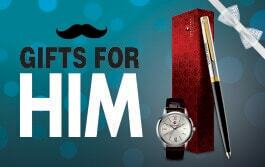 Take their contact information and continuously inform them about different offers every month. When you meet your friend exchange your business card for spa at the end or beginning of your meet. When anyone gives you his own business card, make it a habit to read the business card carefully. If you have any doubts clarify your doubts before putting it away. This shows that you are giving importance to the person who gives their card to you. Sometimes you are living in a city where people give importance to their own local language, respect their values and print business card in both English and the local language of that area. One can print their own parlour business card in both languages by printing both sides in different languages, this will solve your problem and save your money too. And when you present your beauty center business card keep the side with their own language on the top. This will help your customer read the information without any problem. 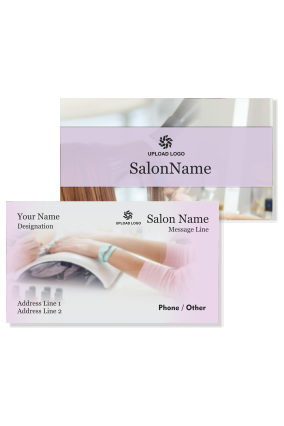 Most importantly that person will be able to read the information printed on beauty salon business card, without anyone's help. 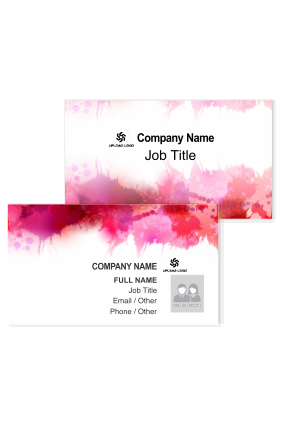 On PrintLand, you can get business card online by designing it yourself. 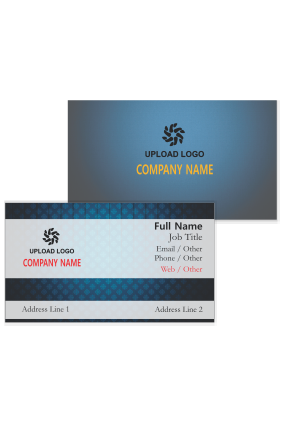 We provide you the facility of online printing of parlor business card, while you sit comfortably sitting at your home. 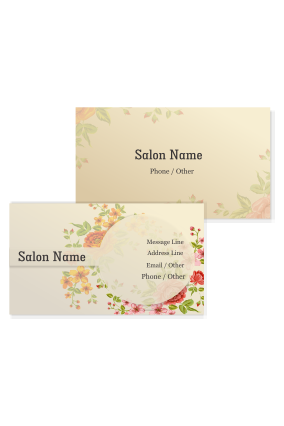 Select any design from our business card template for your massage parlor . 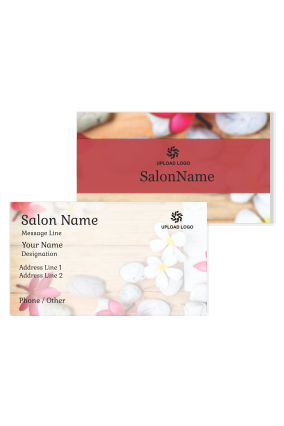 There are many designs and colors are available that can be used by you, while printing your own spa business card India. Many people print their Indian Business card in National language Hindi which is understood and liked by all.